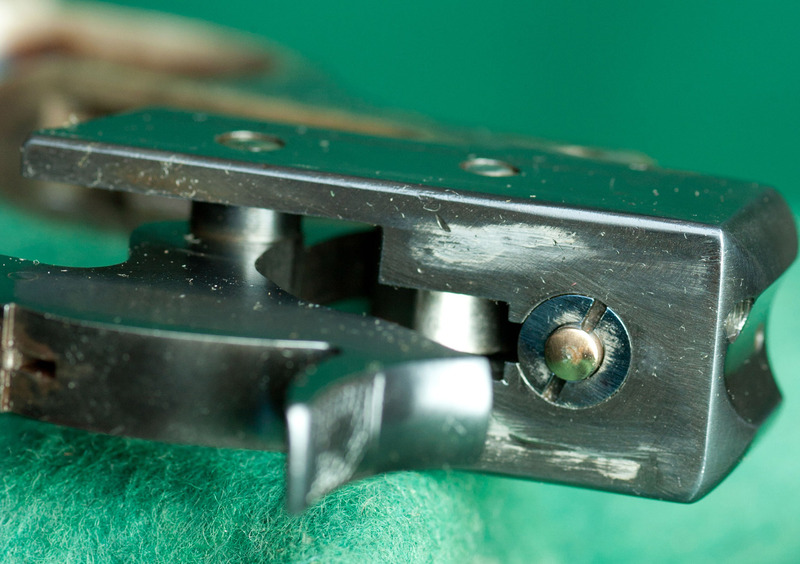 Breechblock closed, above; and open, below, of a Dan'l Fraser sidelever falling block action built by Joseph Smithson. 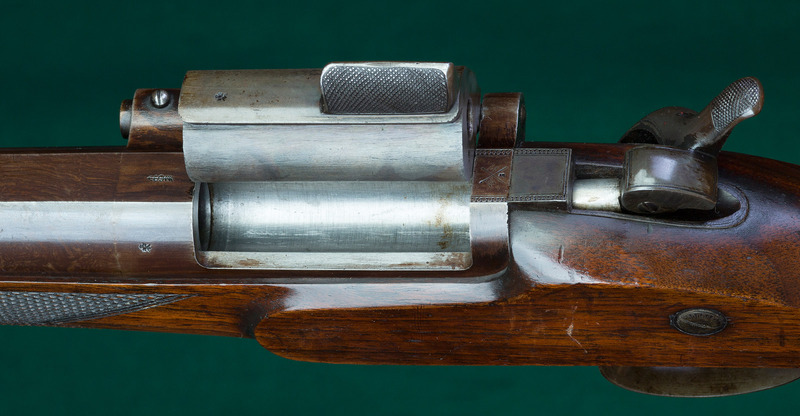 Tilting breechblock on a Martini action, hinged at the upper rear. 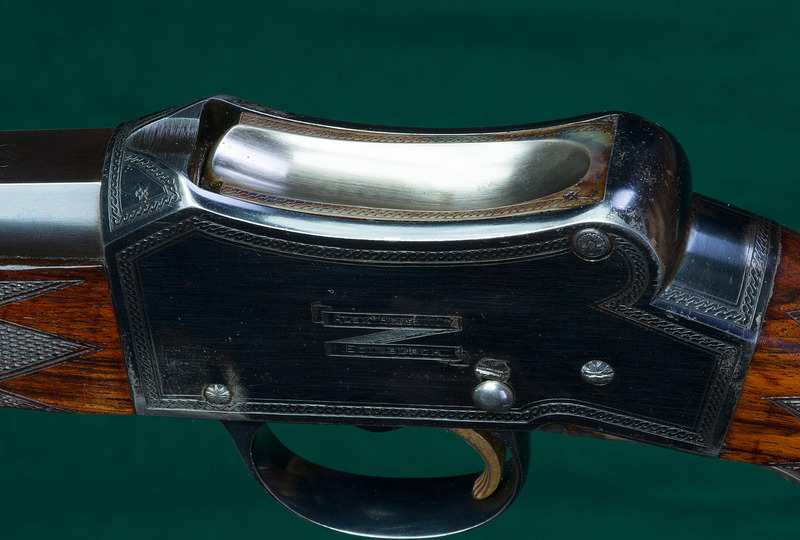 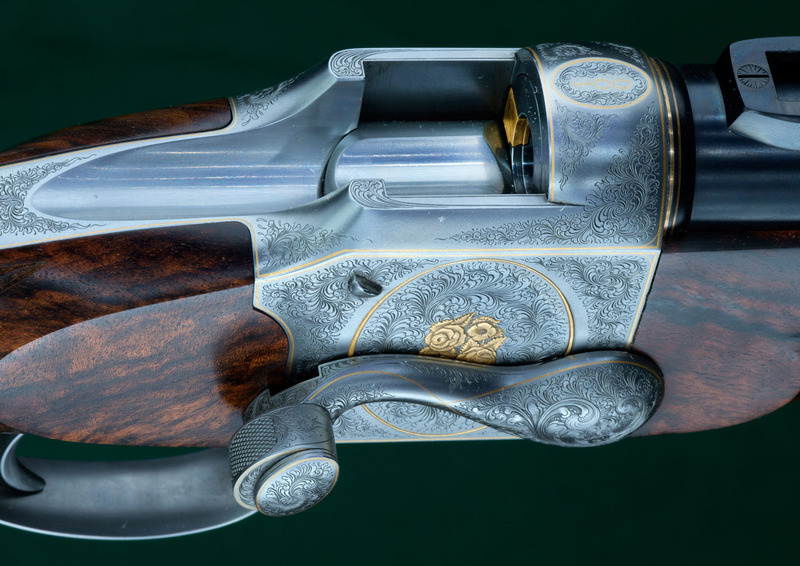 Hinged breechblock on a Snider action. 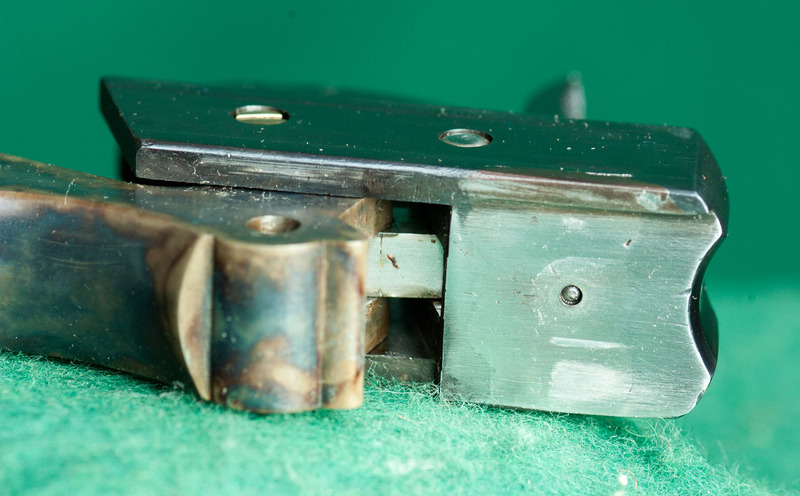 Rear view, above; breech face view, below, of the breechblock removed from a Winchester Model 1885 High Wall falling block action. 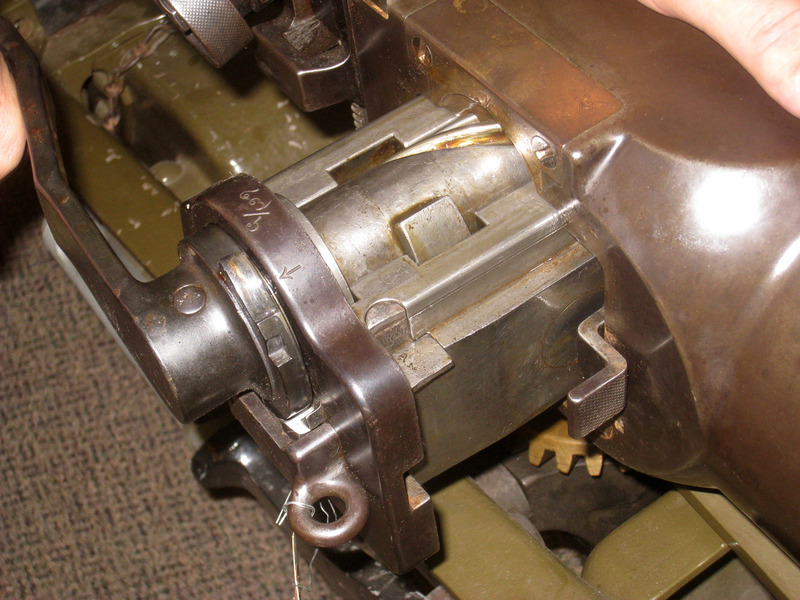 Crank-operated, cross-sliding breechblock of a Krupp 50mm mountain howitzer. 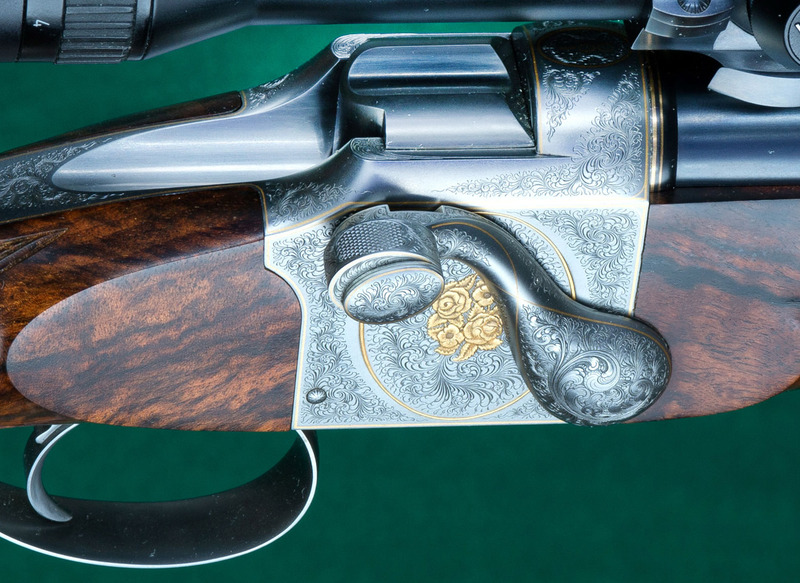 Breechblock - A block of steel, sliding in a mortised raceway, or rotating on a hingepin, that seals the breech of a cartridge firearm and through which the firing pin passes to detonate the primer.